A few years ago I decided that as long as Moleskine makes them, I will continue to buy the red, hard backed journals. With lines, please. I’m not nearly creative enough for the free for all of blank space. Bonus: This is what my friend Joshua can do with blank space. If only. Nothing make senses to me unless it gets out of my head or mouth, which traditionally has either brought much needed clarity or created a world of trouble. Living in my head is torture. Pen to paper is tangible, giving legs to rabbit trails. 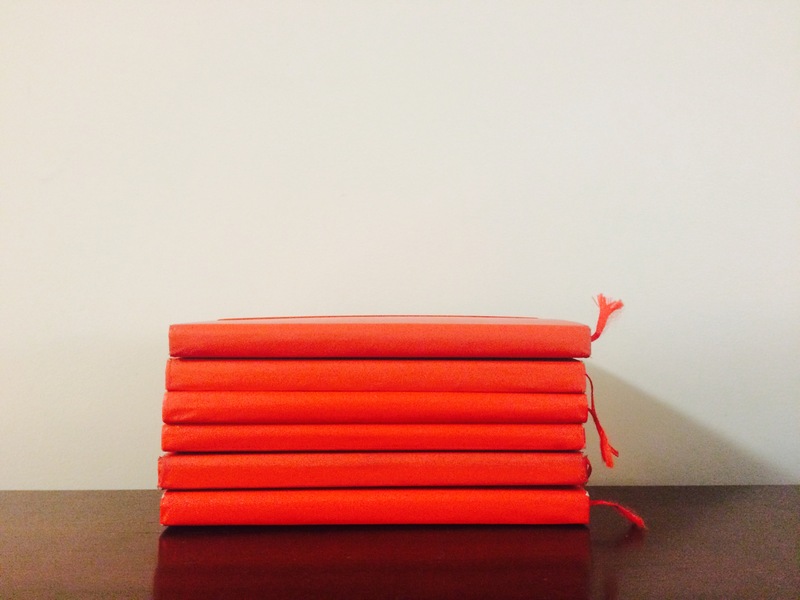 These little red journals are a code. If it is a tiny red book in my home, beware of the pages. Upon opening, you might find life. You might find good. But you might find tears, trouble, worry, anxiety. Contained within is quite literally my life, chronicled in page after page after page. Less Dear Diary and more like Lord, help! Lord, please! Lord, thank you! It can feel desperate and agnsty, but I’ve been desperate and agnsty so there’s that. I see bookshelves lined with red journals. I see tattered pages. I see nicked corners. I see the shuffle in and out of purses and backpacks. Things are polished these days, aren’t they? Instagram ready. Twitter brief. And though there can be honesty, are these really the platforms for all parts of life? Probably not. Today you and I are telling something. It is precious and good. It may be written down, it may not. But I know there is one thing true about us all, that story is way more complicated and nuanced than we can say briefly. I’m not afraid of leaving the messiness behind because more than anything, I want to tell the true, whole story. I am trusting in future faithfulness. And in that faithfulness there is an Even So. Even with the tears, joy, confusion, certainty and uncertainty. Even so, look at the faithfulness. Look at the goodness. If I believe to that end, then please, dear friends and family, read and be assured that if the Lord can take a cracked up, broken life like mine and do the impossible, then how much more will he do with you? Here is to way more storytelling than I could ever do in this life.